Young moms of today amaze me! Many of you have such incredible multitasking skills! 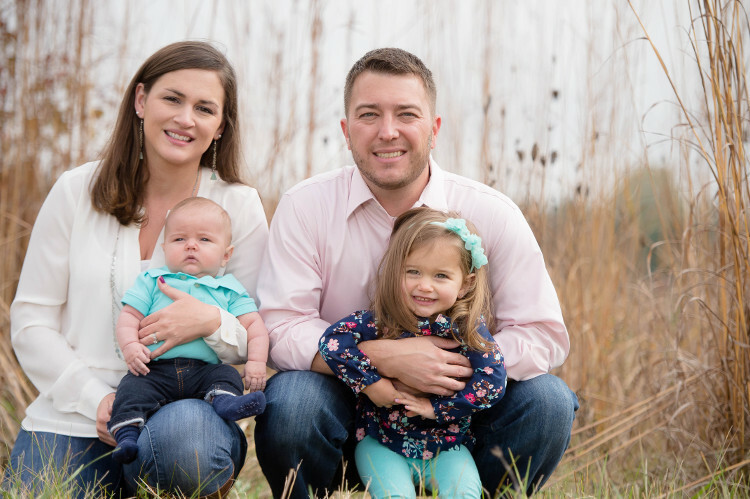 Having the ability to plan and execute family photos with a toddler and a newborn baby! It takes a lot of organizing and multitasking to coordinate wardrobes, feeding and nap schedules and staying on schedule to meet your photographer for family portraits. When I was a young mother, I would never have attempted such a thing. It’s one thing to prepare and organize your two children (and sometimes a husband! ), but also making yourself beautiful and put together? I applaud you all! 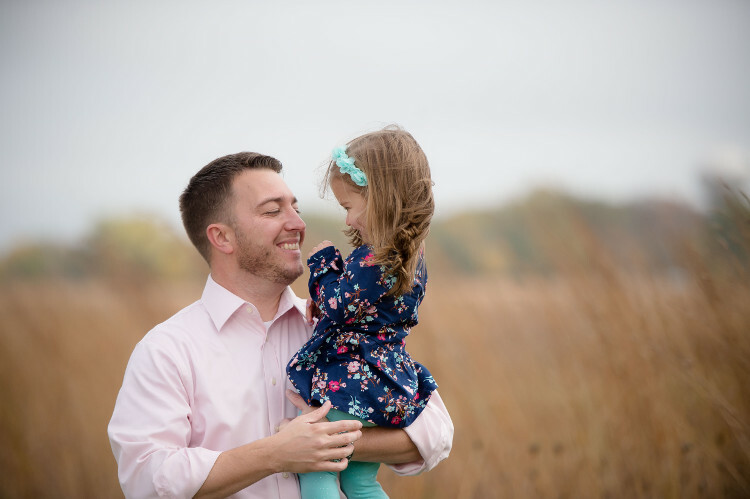 I was excited to meet them at a local park for their family portraits; one that I had never explored before, Glacier Ridge Metro Park. I photographed this young family a year ago when it was just the 3 of them. Mom, Dad and one year old. I was excited to photograph them again this season with the addition of the 4th member of their family. It’s fun for me to see the difference one year makes in these young lives. This now two year old was a ball of energy! All smiles, giggles and inquisitiveness in these family photos! I love to capture mom and dad interacting with their children individually as well as together as a unit in family portraits. Kudos to mom and dad for braving the windy weather, too! I stayed bundled up in a coat, while asking my clients to take off their outer layers for the benefit of the family photos. Even the baby cooperated without too much fussing! It’s not always easy keeping a toddler focused. Part of what I love to do with a family is simply follow the action of the most energetic in the group. In this case, of course, it was the toddler. 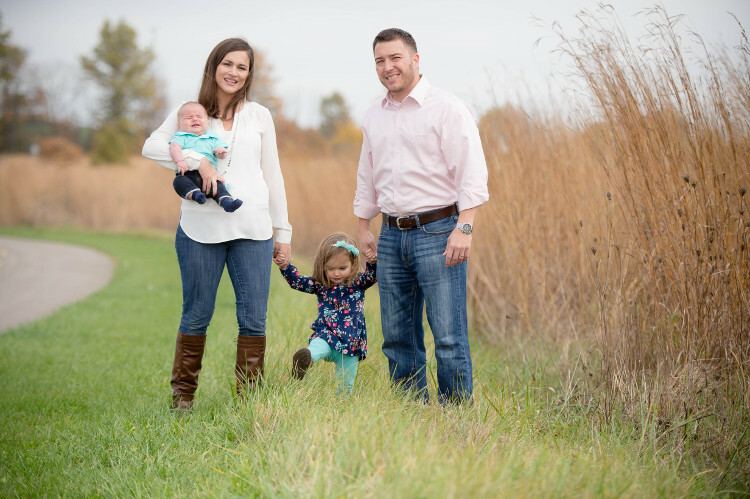 Thank you, Rachel & Tad, for choosing Caught My Eye Photography for your family portraits! Congratulations on the addition of your son to your family! 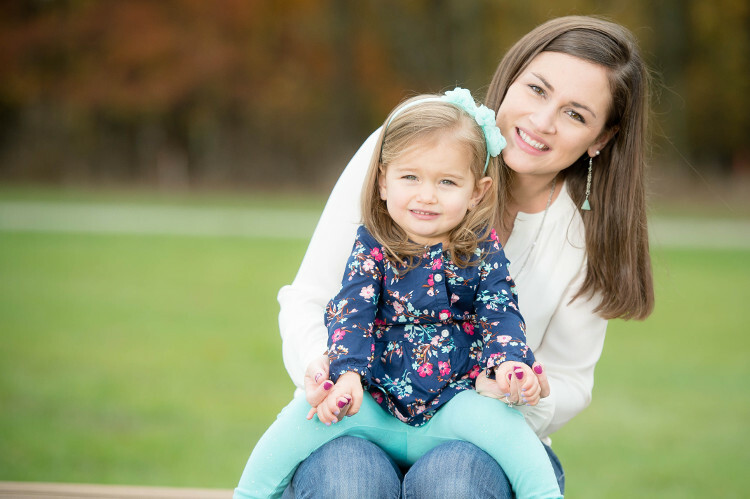 For more information on my family photo sessions, please check out my packages! Beautiful images of this cute family! The location is a perfect backdrop for them! 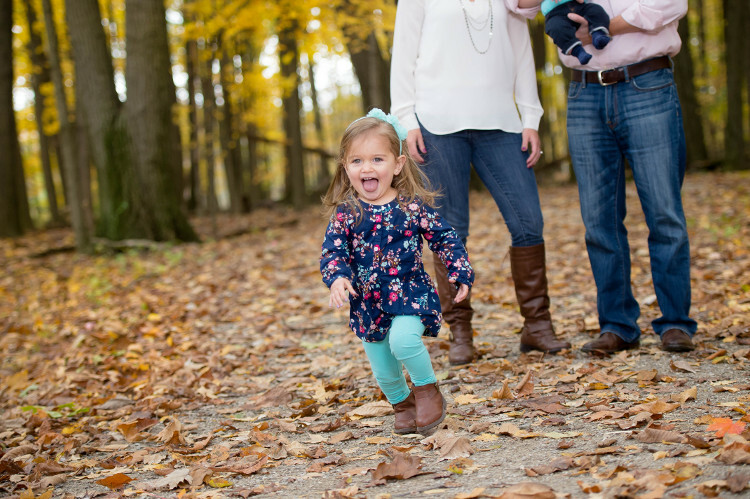 I love that last photo of the two year old running with her tongue out! Super cute family portraits. Gorgeous family portraits at Glacier Ridge Park! Such a happy family! Such a beautiful family! Great location!